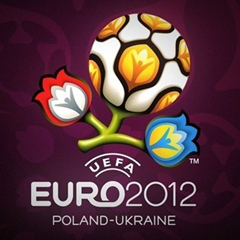 Warsaw - Euro 2012 kicks off in Poland and Ukraine on Friday amid fears that racism and politics could overshadow the football showcase, held for the first time in nations once behind the Iron Curtain. With buzz growing ahead of the opening match on Friday evening in Warsaw between Poland and Greece, Netherlands captain Mark van Bommel said the team heard racist chants during a public training session in the southern Polish city of Krakow. "We all heard the monkey chants," van Bommel was quoted as saying by the Dutch De Telegraaf newspaper. "We can't accept that." Warsaw and Kiev had hoped to use the tournament as a showcase for their ex-Communist countries, but instead have seen it mired in controversy over racist fans and Ukraine's treatment of a top opposition leader. A BBC television documentary broadcast last month showed football fans in the two countries making Nazi salutes, taunting black players with monkey chants, and beating Asian students. The concerns over potential racism-related violence prompted former England captain Sol Campbell, who is black, to last month warn fans to "stay home, watch it on TV... don't even risk it". The two countries have said that the claims did not give a true picture of the situation on the ground, with Poland's organisers even extending a personal invitation to Campbell. Much of the spotlight ahead of the opening kick has also focused on Ukraine's treatment of its former prime minister and opposition leader Yulia Tymoshenko, who has been jailed for seven years on charges the European Union says are politically motivated. Britain on Wednesday announced it would not be sending any ministers to group-stage games over concerns of the "selective justice" meted out to Tymoshenko. Ukraine's ambassador to London Volodymyr Khandogiy on Friday slammed the move, telling BBC radio he both regretted and failed to comprehend the reasoning behind it as "sport and politics, they don't mix." The Tymoshenko affair has strained relations between Ukraine and the EU and European Commission chief Jose Manuel Barroso has vowed to be a no-show for games in Ukraine, as has EU Justice Commissioner Viviane Reding. Poland's President Bronislaw Komorowski has called boycott threats "completely inappropriate." UEFA chief Michel Platini lashed back, sternly invoking the sporting body's neutrality and saying: "We don't play politics." Pope Benedict XVI kicked in his lot for a sporting atmosphere ahead of Friday's opener, saying football was like a school that taught people about respect for one another and how to make sacrifices for the good of the rest of the team. The German-born pontiff, whose predecessor Poland-born Pope John Paul II was a well-regarded goalkeeper in his youth -- at times on a Jewish team - added that football was also about fraternity and love. The controversies did little to dampen the enthusiasm of Polish fans, with thousands attending the launch of the Warsaw fanzone on Thursday. "This may be the only event on this scale here in our life time, it can't be missed," Tomasz Woldan, a 33-year-old IT specialist said. "Warsaw Welcomes You" read a sign draped over Warsaw's gargantuan, Soviet-era Palace of Culture, at the foot of which spread out the huge fan hub, capable of hosting 100 000 people and complete with a stage, large TV screens and medical aid points. Polish authorities meanwhile prepared to grapple with the challenges posed by hosting between the 700 000 and one million fans who are expected to flood into the country during the championships. "We are extremely well prepared," said Sports Minister Joanna Mucha. To deal with possible threats, Poland has on stand-by everything from testicle-biting dogs to anti-hooligan squads armed with truck-mounted water cannon and high-tech sonic cannon capable of inducing involuntary urination, local media have reported. The Polish president and Prime Minister Donald Tusk were due to attend Friday's kick-off along with scores of other top government officials. Russian President Vladimir Putin and Prime Minister Dmitry Medvedev were meanwhile due in Wroclaw on Friday for Russia's face-off with the Czech Republic, Polish media reported. Ahead of the championship, both countries faced an uphill struggle getting their road, rail and air transport infrastructure ready to cope with the influx of fans, with the last stretch of a Warsaw-Berlin highway opening just a day before opening day.